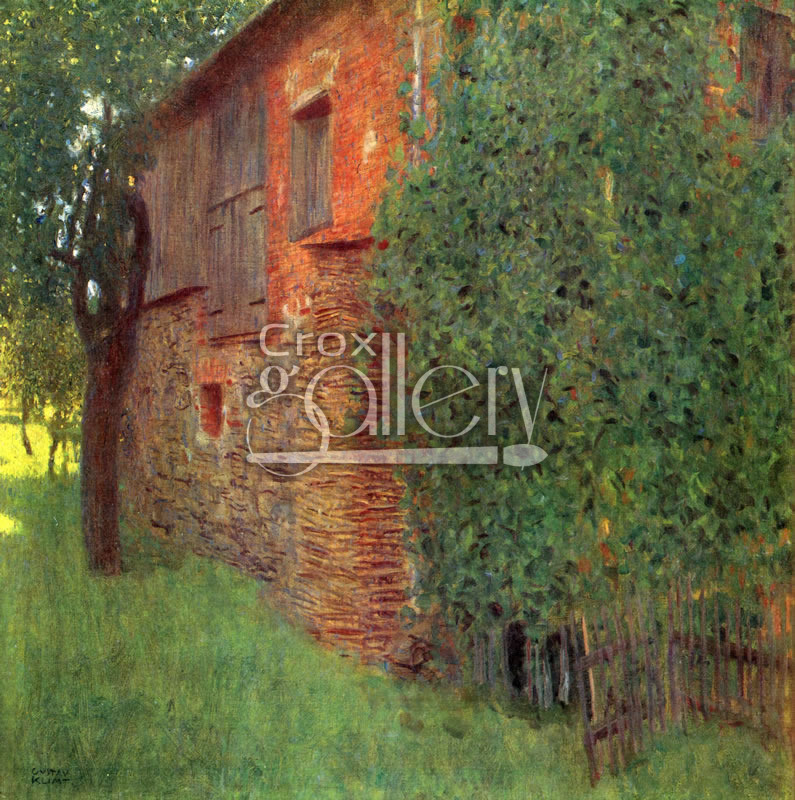 "House in Atersee" by Klimt, Landscape Oil Painting. This landscape displays a house painted by the Lake Attersee in Austria. 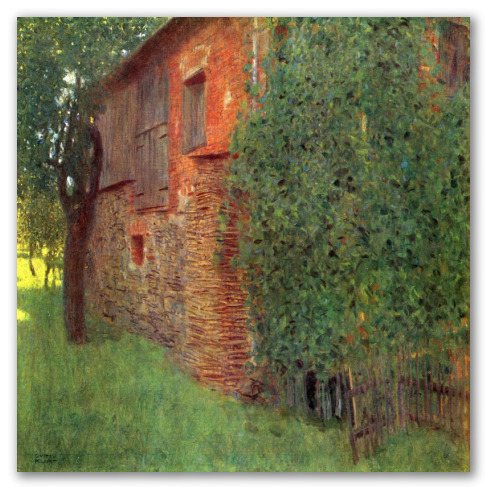 This amazing work of art by Gustav Klimt is not one of the artist’s most well known. However, it shows the artist's great ability to interpret the colors offered by nature in the evening. The contrast between bright and opaque colors recalls the style of his post-impressionist contemporaries.